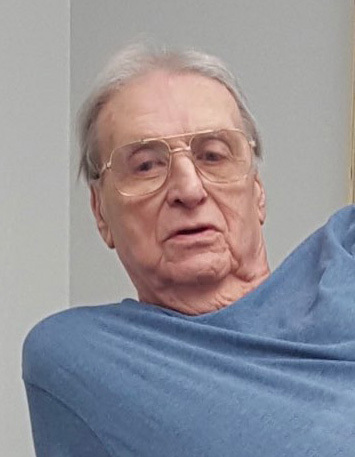 Robert V. Brandon, 85, of Springfield passed away Saturday, February 9, 2019. He was born December 11, 1933 in Springfield the son of Vincent E. and Mary (Sexton) Brandon and attended Catholic Central High School, Class of 1951. Following high school Bob went to work for the Springfield News-Sun, and in 1954 he married Joanne Ross. He then served three years in the United States Army. Bob returned to the News-Sun and worked in the Circulation Department, retiring with 45 years of service. Bob was a Past President of the Machinist Union District 82, and Local 148, with 25 years of service. He was a member of St. Joseph Catholic Church and the Union Club. Bob is survived by his four daughters, Kathy Strayer, Terri Dunbar, Deb Brandon and Becky (Tim) Piper, all of Springfield; a brother Jerry Brandon of Taneytown, MD; nine grandchildren Stephanie Strayer, Stacey (Kendra) Strayer-Tuttle, Brandon (Amber) Strayer, Kristin and Jenni Dunbar, Joshua V. Ogg, Ryan (Katie), Dale and Alex Piper; fourteen great grandchildren; several nieces and nephews. He is preceded in death by his wife of 56 years, Joanne Brandon; granddaughter Andrea Ogg; son-in-law Robert Strayer; and sister Mary Anne Grewe. Visitation will be Thursday from 5 – 8 PM. in RICHARDS, RAFF & DUNBAR MEMORIAL HOME. A Mass of Christian Burial will be celebrated Friday at 10:00 AM. in St. Joseph Catholic Church with Fr. Bill Kramer officiating. Burial will follow in Garlough Cemetery. Memorial contributions may be made to St. Joseph Catholic Church or to St. Vincent DePaul. Expressions of sympathy may be made at www.richardsraffanddunbar.com.